Takahashi's TOE eyepieces are the ultimate in high magnification visual observation. These eyepieces, coupled with a premium telescope, will delivery performance close to the diffraction limit over the entire field of view. At 52 degrees, the apparent field of vision is similar to Takahashi's LE series of eyepieces, with 10 mm of eye relief. 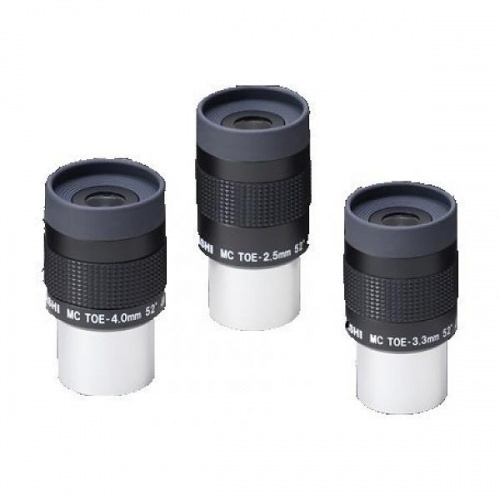 The optical design of the TOE eyepiece involves 6 elements in 4 groups and minimizes spherical, and chromatic aberration, field curvature and astigmatism.